Throw a rock into a pond and the single splash creates concentric circles, rippling outward. Do a good deed and it improves someone’s day, and the positive effect ripples along, metaphorically speaking. Propose a transmission line project through the heart of a small, semi-rural town, and the ripples just keep coming: a hit on property values, destruction of the character of the town, loss of trees in conservation land, threat to water. Wait. What? Threat to water? Electricity lines could potentially threaten our water? Eversource’s proposed Sudbury to Hudson transmission line project and its vegetation management plan could. This plan schedules regular herbicide spraying to control plant and tree growth along where they plan to clear cut a swath 82 feet wide on the MBTA rail bed right of way. How crazy is it that critical infrastructure of one sort (electricity) could potentially threaten critical infrastructure of another (water)? And in case you’re prone to believing Eversource’s assurances that it’s all very carefully managed, consider our friends on Cape Cod. Communities there have been battling NStar and its successor Eversource for years and the fight to protect their water continues today. The herbicides most commonly used are Fosamine and Glyphosate, both problematic in their own ways. Fosamine has not been tested for human health risk assessment because it is not approved for residential use and so residential exposure risk assessment has not been conducted. Glyphosate, which is often detected in groundwater where it is commonly used, has been classified as a probable human carcinogen by the World Health Organization’s cancer assessment agency. Let Eversource say what it will about its “Plan.” Better to err on the side of caution and keep that stuff away from our water. Water is a precious resource and it’s up to us all to keep it safe and clean. The good news is that there’s plenty you can do to help stop Eversource in its tracks. Support Protect Sudbury’s legal fund by donating, let Town officials know you support their continued opposition to the project, and keep up the pressure on our local agencies and public officials by contacting them. 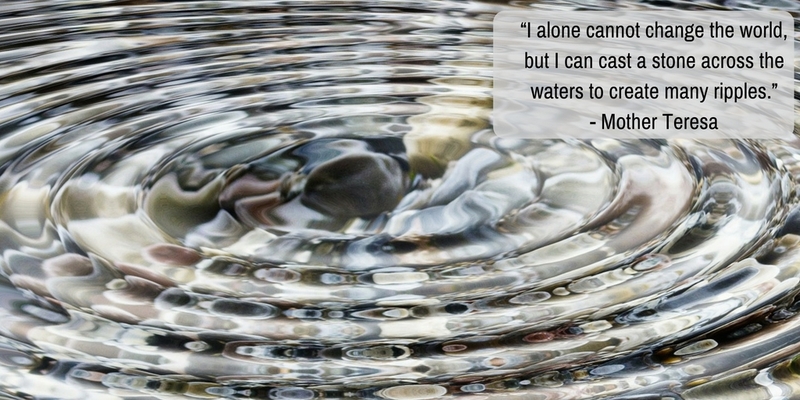 Take action now and create your own ripple effect.